With the continuously growing number of beauty subscription boxes, it can be difficult to choose one (or even a couple) to subscribe to. Glossybox is one of the first subscription boxes that I tried out, and I’m glad I did! They provide a mixture of 4–5 deluxe samples and full-sized beauty products each month. In addition, the products are customized based on your beauty preferences. This way, you’re more likely to get products you actually want to try out. 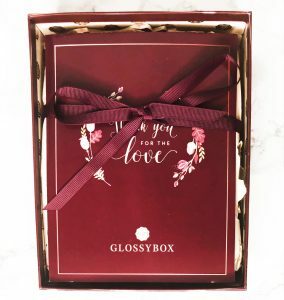 This Glossybox review shares my November unboxing, how to save money on their subscription and earn monthly rewards, similar beauty subscription boxes, and more! My November box arrived mid-month. As I’ve mentioned in my previous Glossybox reviews, I love their presentation. The products come in an elegant box tucked neatly under pink tissue paper and a bow. Plus, it comes with a fold-out sheet that gives further details about each item. They provided a limited-edition box this month, so it had a different design than their typical pink box. I got five items this month! Since I received a variety of different types of products, I’ll be sharing each below. 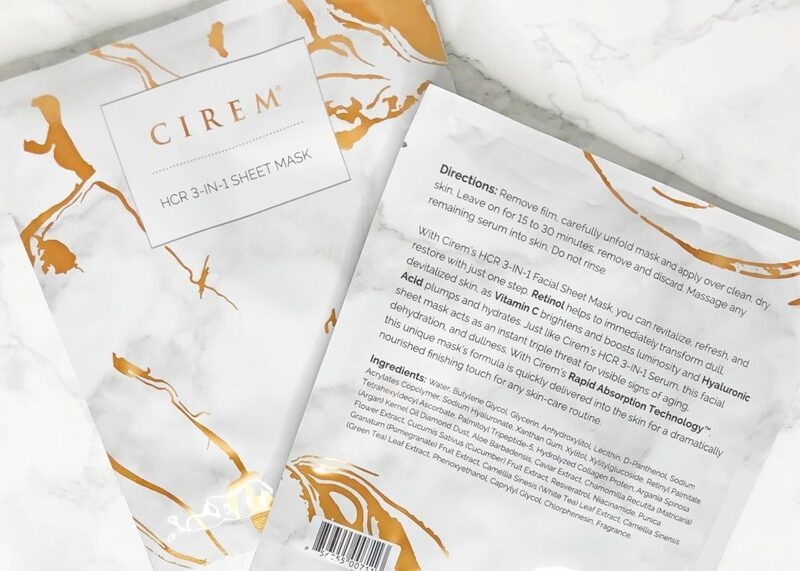 Face masks are one of my favorite products, so I couldn’t wait to try these out. My box came with two of these 3-in-1 masks. It acts as a “triple threat” for signs of aging, dehydration, and dullness. Although I can’t attest to the anti-aging properties, it did make my face feel much more moisturized and look brighter! I was shocked at the regular price of these—$22 per mask! The price of one mask alone is more than the entire Glossybox. This hand cream was great! Although it wasn’t full size, it’s still pretty large and will take me a long time to use up. It smelled very nice and moisturized my hands well. I love that it doesn’t have any parabens, dyes, SLS, or mineral oil and that it isn’t tested on animals! A couple of the main ingredients are mango butter and milk thistle. I loved the dark berry shade of this lip gloss. Plus, it smelled nice and looked pretty on my lips. It’s lightweight, which is great because I can’t stand heavy, sticky lip glosses. Their brand name is spelled wrong on the lip gloss container, which I thought was funny. Overall, it’s a nice formula, but a pretty spendy price for lip gloss. I always love trying new nail products. 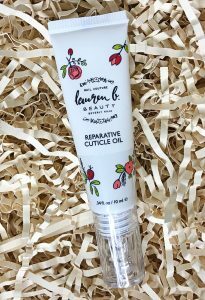 This cuticle oil is all natural and uses ingredients such as Ylang Ylang oil, safflower oil, avocado oil, and more. It was very hydrating! Not only that, but it smelled delicious. It’s regularly pretty spendy, so I don’t think I’d purchase it myself. My Glossybox came with a full size, though, so it should last a while! Hair products aren’t my favorite type to sample because I rarely purchase them (other than shampoo and conditioner). I’ve also never had any luck with hairsprays in the past. However, this product worked surprisingly well. It held my hair without drying it out or making it crunchy. 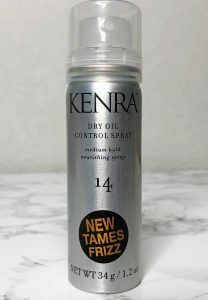 It aims to help with frizz (which I have lots of), and it did pretty well with this as well! Glossybox typically offers a few deals to save a little extra money on their subscriptions! I’ve listed the coupon codes that they currently offer below. You can also earn rewards every month you’re subscribed to Glossybox. 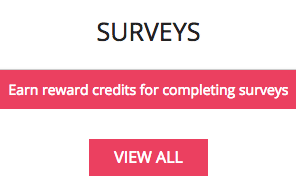 Each month, you can take a survey about the products you received to earn rewards credits that you can redeem in their shop. You can earn around $5 every month! The payout is $0.40 per survey on each product, an extra $0.40 to write a review about it, and $0.40 to take a survey about the monthly box overall! This adds up quickly, and it only takes a few minutes to complete them all. As I mentioned earlier, there are numerous beauty boxes to choose from these days. Since it can be difficult to select one or two from all of these options, I’ve included a few others that I’ve enjoyed and how they compare to Glossybox! 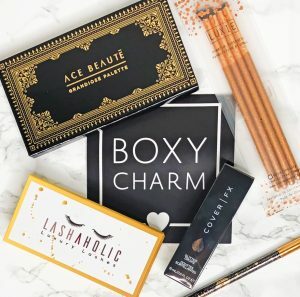 Boxycharm, for one, is a beauty subscription that’s a great value. It costs the same as Glossybox, but the main difference between the two is that all of the items Boxycharm includes are full sized! Their monthly box values are over $100. They even provide full-size eyeshadow palettes, as you can see in our Boxycharm reviews! This is a great subscription if you’d prefer to receive makeup that will last rather than try out a variety of smaller samples that don’t last very long. 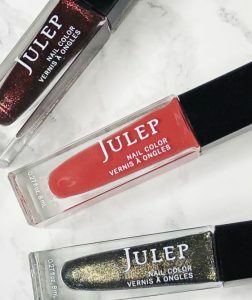 Another beauty box I’ve been loving is Julep. A huge benefit of this subscription is that they only provide their own brand of products! You’ll never have to worry about receiving bad items because their products are all high quality. Like Boxycharm, each item you receive is full sized. However, this obviously wouldn’t be the best option if you want to try out different brands. My Julep reviews share how you can try your first box for free!